British Prime Minister Theresa May assured that the UK Conservative Party does not plan to raise taxes. LONDON (Sputnik) — The UK Conservative Party does not plan to raise taxes, the party's leader, Prime Minister Theresa May, told the BBC channel in an interview broadcast on Sunday. "We have absolutely no plans to increase the level of tax… I'm also very clear that I do not want to make specific proposals on taxes unless I am absolutely sure that I can deliver on those," May said during the BBC’s Andrew Marr Show. Speaking about the specific taxes, the prime minister specified that the Conservatives would not increase VAT. May also suggested a "triple lock" for the state pensions that envisages the growth through the exact method of calculations to be issued in the party's' manifesto. 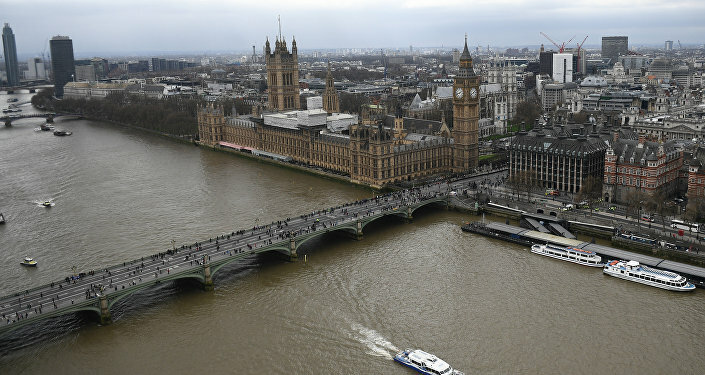 The UK early general election are scheduled for June 8 after the UK House of Commons backed May's bid to hold the voting in order to overcome divisions in the Parliament, succeed in Brexit negotiations with the European Union, and ensure stability in the country.